NUI Galway-based medical device company, AuriGen Medical has received €2.5 million in the latest round of Horizon 2020 SME Instrument funding, which receives applications from all over Europe. Ranking number one out of 1,280 applications across all sectors, the company specialises in the treatment of persistent atrial fibrillation (irregular heartbeat) patients and is developing the first cardiac implant to treat both the stroke and heart failure risk associated with this condition. The company was established by Tony O’Halloran and Dr John Thompson who met through NUI Galway’s BioInnovate Ireland Programme with Enterprise Ireland funding the development work at the University through a Commercialisation Fund programme. The Commercialisation Fund programme is co-funded by the European Regional Development Fund (ERDF) under Ireland’s European Union Structural and Investment Funds Programme 2014-2020. 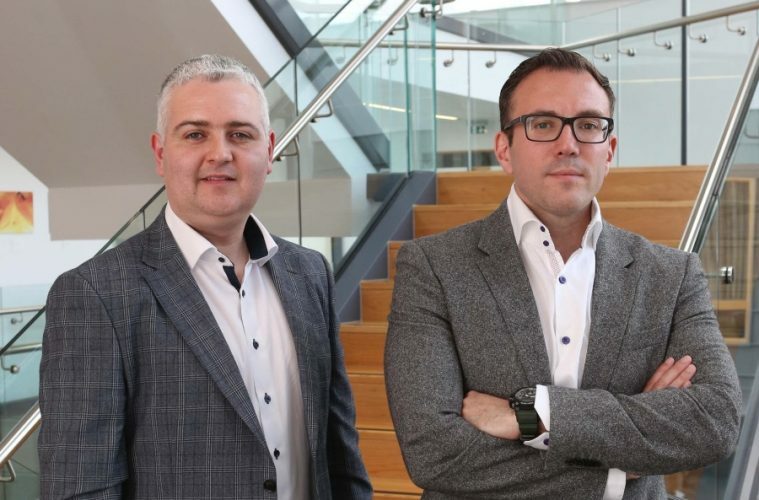 Dr Thompson, a former intensive care physician together with Mr O’Halloran, a highly experienced medical device engineer, formed AuriGen Medical after meeting in 2015 when both were selected by the BioInnovate Ireland Programme at NUI Galway. During this time, they invented the novel device solution to address a large unmet clinical need that they observed. Persistent atrial fibrillation, an irregular heartbeat, affects around 10 million patients across Europe and is associated with direct healthcare costs in the billions of euros each year with patients describing each palpitation as a constant reminder of their own mortality, fearing that the next heart beat could signal a catastrophic stroke. Over 70% of atrial fibrillation patients have persistent or longstanding disease however, the current treatment options including medications, cardioversion and ablation (a keyhole procedure carried out to scar or destroy tissue in the heart that is allowing incorrect electrical signals to cause an abnormal heart rhythm) only address the minority of patients with intermittent disease. AuriGen Medical believe that once approved their medical device could help the majority of patients become free from atrial fibrillation. This funding will be used to advance product development in preparation for first in human trials in 2020. The company will initially target the 200,000 persistent atrial fibrillation patients per year who are having repeat ablations due to reoccurrence after a first failed ablation procedure. With the costs of repeat ablations estimated at over $50,000 AuriGen’s device aims to deliver significant cost savings to healthcare providers. The AuriGen device is a single shot left atrial appendage implant with additional ablation and sensor technology for fast, simple and permanent electro-mechanical isolation of the Left atrial appendage, a pouch located in the upper chamber of the heart. The AuriGen technology utilises single-use sensors and software algorithms to give doctors a real-time feedback on the quality of the ablation. By making it easier for doctors to tell if they have permanently electrically isolated, AuriGen believes it can increase success rates while shortening procedure times and open the procedure to even more physicians. The technology is based on significant clinical data underpinning the benefits of electrical isolation of the left atrial appendage in persistent atrial fibrillation. AuriGen Medical will compete in both the electrophysiology and structural heart markets, aiming to meet unmet clinical needs for both atrial fibrillation and stroke prevention. The Horizon 2020 National Support Network is led by Enterprise Ireland on behalf of the Department of Business, Enterprise and Innovation.